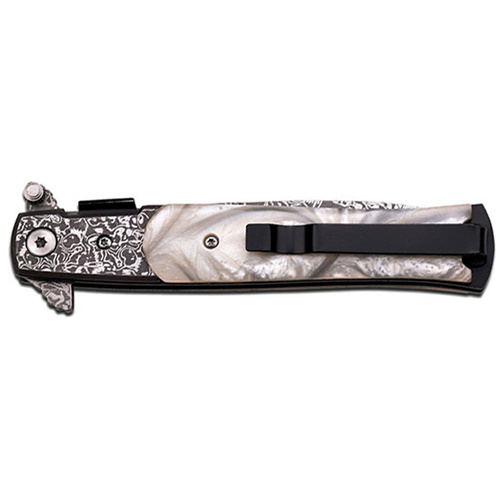 This Tac Force knife is an Italian stiletto style spring-assisted folder. 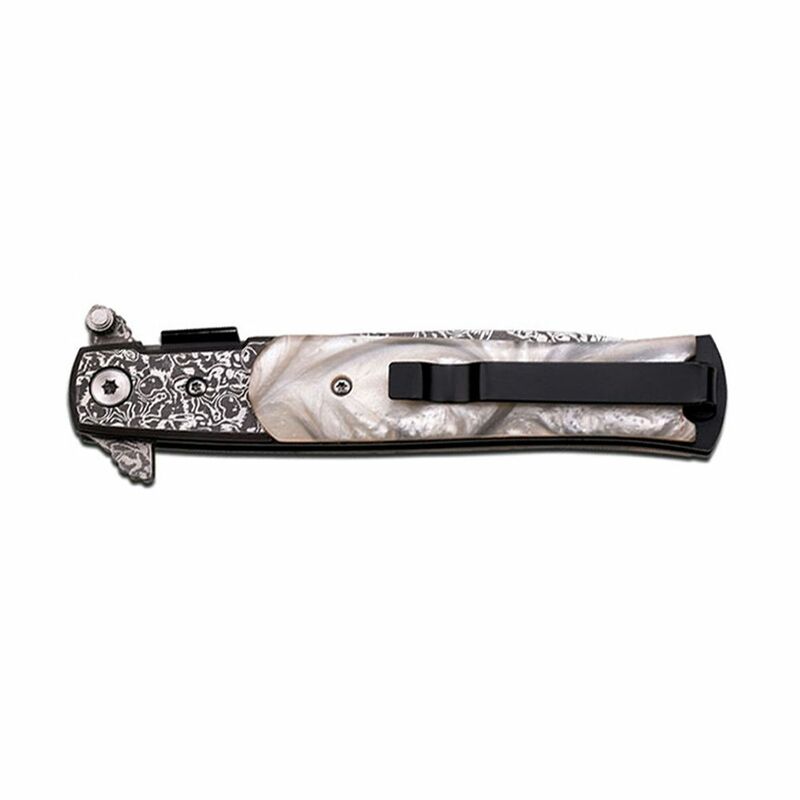 The spear point blade deploys at switch-blade speed with a flipper fin and locks in place with a liner lock. 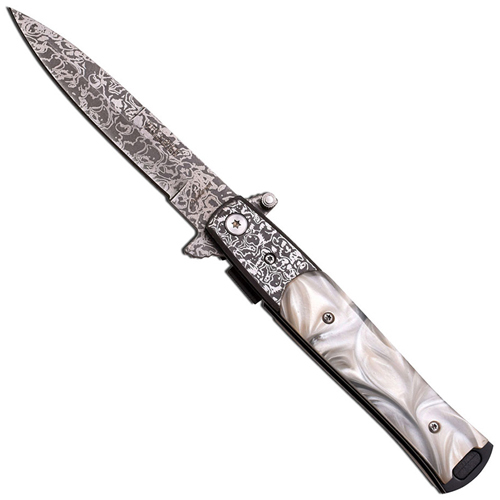 This model features a simulated white mother of pearl handle and acid etched blade.